Resiliency – lessons for the workplace? With the World Athletics Championships in London fast approaching, it is a timely reminder that any success enjoyed there by athletes will be the result of years of hard training. However, training comes in many forms and it should not be thought of as purely physical. It is also about the mental development of the individual and, in particular, the degree to which they show resiliency. Athletes at all levels will have experienced their share of setbacks; physical (such as injuries), emotional (such as births and deaths) or simply balancing the demands of family life, sport and perhaps a career. The double Olympic Champion Sir Mo Farah famously spends months training at altitude throughout the year, away from his young family, and so the pressures on the family are not inconsiderable. Resiliency is the ability of the individual to deal with setbacks, adapt and remain positive, and developing resilience does not usually happen by accident. 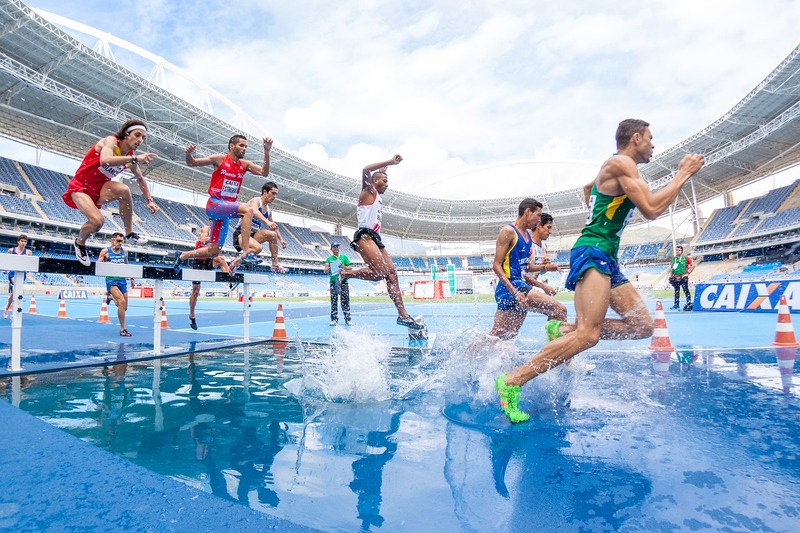 As an athletics coach, it is not uncommon to see young teenage athletes winning every race in sight for a few years and then disappearing from the sport without trace. Why does this happen? It can be the result of too much praise and recognition being lavished on a child who is simply more physically developed for their age than their peers. They have not trained harder than everyone else, they just happen to be taller or stronger! Unfortunately, this early success can have a counter-productive effect in that the child may not get the chance to practise resilience simply because they experience very few setbacks. To compound this, the parents, may lavish praise on the achievement rather than the effort put in to achieve it. That is why the best coaches work on the mental as well as the physical development of their athletes. Problems resulting from a lack of resilience are not restricted to sporty children. In elite sport, Dr Steve Peters, Consultant Psychiatrist and author of ‘The Chimp Paradox’ has been in demand from high-performance sports teams such as GB Cycling, UK Athletics and Liverpool FC. He works with the athletes and support staff to improve the mental durability of their charges. Of course, most of us are not engaged in elite sport so what lessons, if any, can we learn from this? Resiliency at work is also important, and whilst some people are naturally more resilient than others, for most it is a learned skill. For example, a top salesperson who loses his cool and gives up when things start to go wrong can quickly become a negative liability to the team. Conversely, a less talented salesperson who is more level-headed, more optimistic and has greater mental durability, may turn out to be the better performer in the long run. A member of a project team who can only accept his or her own ideas may be resistant to change and a real block to progress. All these symptoms are really forms of stress, and since stress is the number one cause of absence from work with 11.7 million days lost in the UK in 2015-16 (Source: http://www.hse.gov.uk/statistics/dayslost.htm), improving skills in resilience is not just about making things better for the employee. There are strong economic reasons for doing so. Personal resilience training is, therefore, a rational way to approach stress management at work. We all face setbacks in life and how we cope with them depends largely on how adaptive and resilient we are. To ensure that your employees can remain reliable, focused and effective when things get tough, it could be of great benefit for you to invest in their personal resilience. Follow this link to find out more about our courses on ‘Adaptive Mindset and Resiliency’.